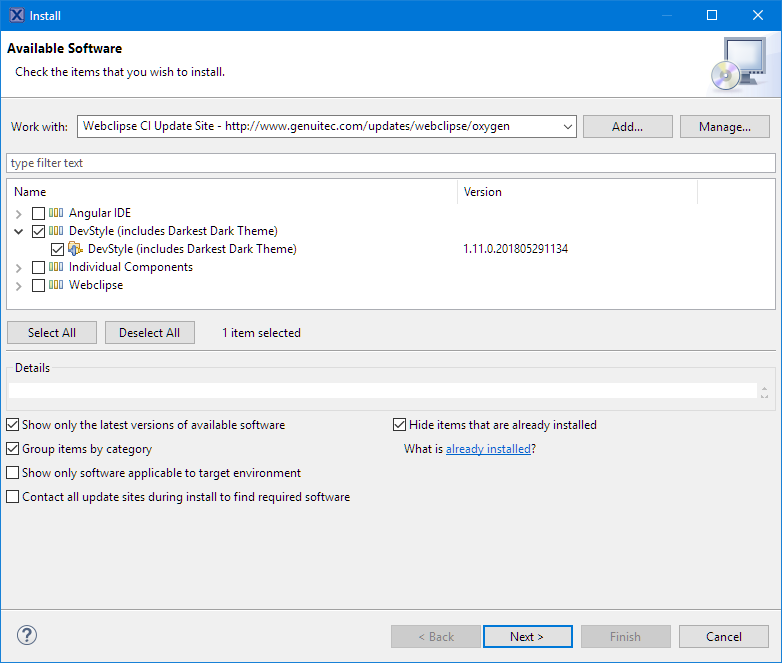 I have described in this article how to install the ‘Darkest Dark’ theme from Genuitec into the Eclipse based MCUXpresso IDE 10.2. 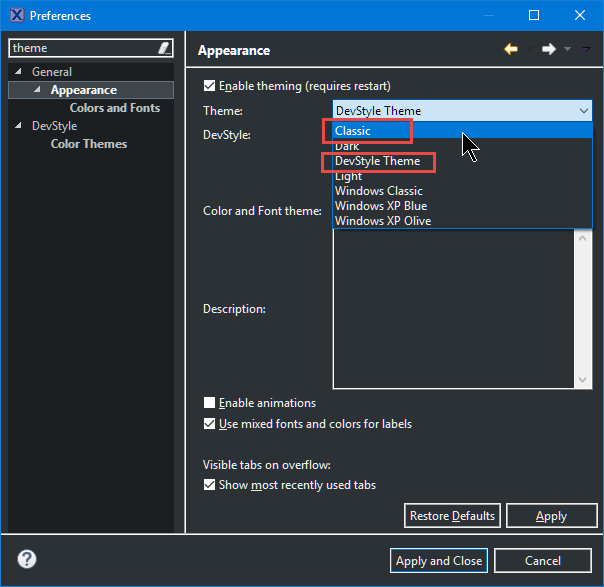 That theme installs fine into ‘stock’ Eclipse Oxygen, but because a few plugins are missing in MCUXpresso IDE, I describe the necessary steps to have it installed. Plugins should usually find and resolve their dependencies. At least at the time of writing this article, the Genuitec plugin somehow fails in case Mylyn is not installed (this might happen for other Eclipse distributions too). To solve such a problem, you need to install at least a portion of Mylyn. What I did is installing the part of Mylyn which comes with stock Eclipse Oxygen. This should now install without issues :-). It will ask me to restart the IDE, but I have found that for such a temporary switch this is not necessary. To make a clean switch, I recommend to restart the IDE. If installing the Darkest Dark plugin fails, it might be because some parts of Mylyn are missing. Using the theme is very handy especially if you feel that such a dark theme does hurt your eyes less. So it can make working long hours with Eclipse even more comfortable. I might be that not every Eclipse plugin has been tuned the details for using it with a dark theme, but for sure core Eclipse features and editing looks really nice with the Darkest Dark theme. 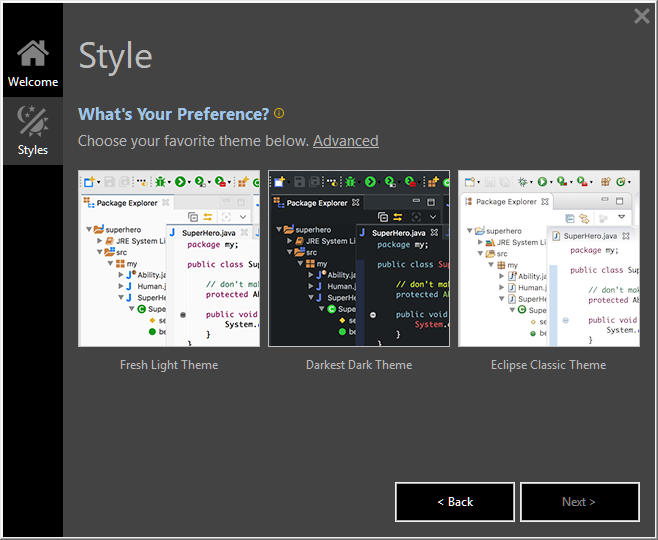 What do you think about these ‘dark’ themes? How important are they for you? Post a comment and let us know. 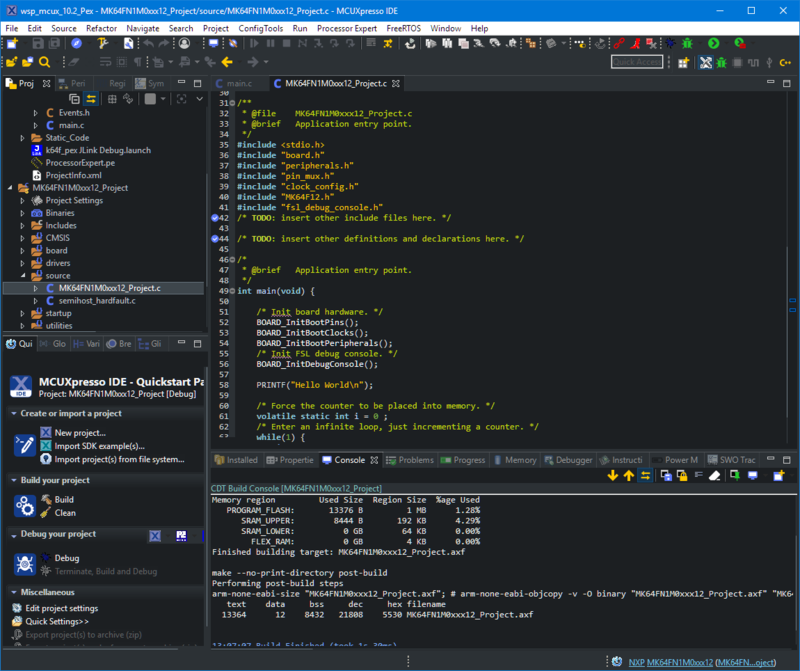 This entry was posted in Eclipse, MCUXpresso IDE, NXP, Tips & Tricks, Tutorial and tagged Dark, Darkest Dark, Eclipse, Genuitec, MCUXpresso, MCUXpresso IDE, Mylyn, NXP, Plugin, technology, Theme, Tips&Tricks by Erich Styger. Bookmark the permalink. Darkest Dark was one of the first things I tried with MCUX. I had some trouble with project property page layouts that I think might have had more to do with the GNU ARM Eclipse plug-in, but I’m not certain. Ended up removing it to have one less thing to muddy the waters. Make sure you give us an update in a few weeks! If it’s working out well for you I’ll give it a try again myself. Borland Turbo C++’s white-on-blue background was probably the darkest I’ve worked with before (and looking back on it now it’s kind of glaring) but dark is trendy now, and these modern displays do get a little overly bright. the theme replaces or overlays the stock eclipse icons and view settings of the common CDT/JDT plugins. From what I can tell is that the views for anything ‘non-standard’ do not look as clean and nice. Resulting in some icon artifacts or not-so-easy-to-read views. But it looks fine for the standard views. So for the GNU ARM (ähm: MCU) Eclipse plugins the same issue exists: they have not been tuned or optimized for the dark theme. I think if there is enough demand, this might change. Or if users contribute back better settings? Installed without a hitch here – didn’t need to install any extra plugins. And now I remember that one thing I don’t like about it is the tiny scroll bars. I’d swear I found a way to change them but I don’t remember what it was now. One thing that helps offset that is the Overview plugin. It gives you a zoomed-out preview like the one in VS Code. And the latest version no longer crashes on map files! I tried this with the original 10.2 setup, and I had to add the extra Mylyn plugins. Maybe you have it installed from another plugin? 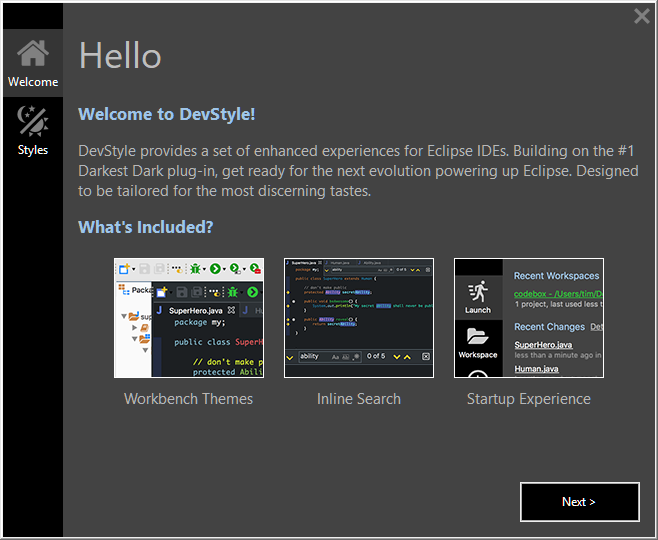 I’ve tested Darkest Dark + DevStyle on Eclipse Oxygen with Liviu Ionescu’s MCU plugin. Have you tested this on Oxygen also? 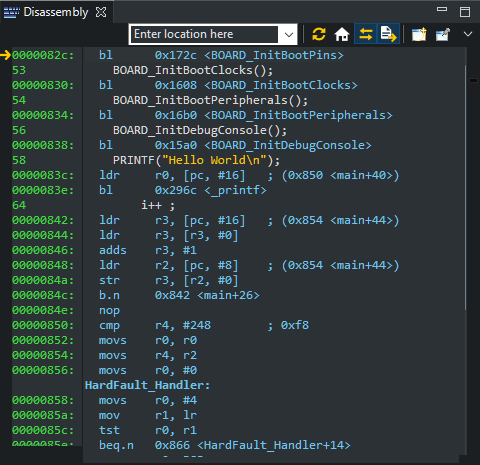 Debug the project and look at the disassembly view. The 3 recent instructions are highlighted in Eclipse CDT but due to the way the devStyle theme handles colors, the 3 recent instructions would be unreadable because of background color of op-codes. Other than that, click “New C project”, compiler section is also unreadable. The ‘smoothing’ of the disassembly instructions is still readable for me (less ideal, but ok). Maybe there is a setting somewhere to disable this? As for the New C Project wizard: the compiler section is empty for me, so there is nothing to read anyway? I also have another problem which I guess is related to Oomph. Theme changes are not persistent between restarts and clean starts. This behaviour is so random that I can not even reproduce it for a bug report. Did you have try to run project debug? look at the Disassembly window, it’s ugly. 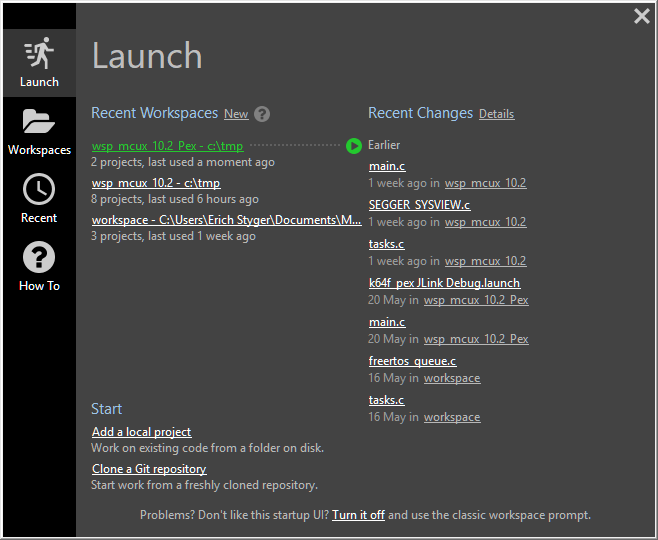 I have testet Darkest Dark + DevStyle on MCUXpresso 10.2 and I liked it. Better for my eyes! But unfortunately some perspective does not work well at all : Especially MCUXpresso ‘s own extensions like pin tool and clock tool. Colors are horrible, and it is no longer possible to select from some dropdown menus (blank content) like Routed Pins table view. I had to uninstall it. Hope it will be fixed in the future. Yes, I noticed as well that the configuration tools are not really usable with that dark theme, and haver reported it to NXP, hopefully they can improve this in the future. I did not uninstall the theme, as I can switch to the normal theme whenever I want to use the config tools. I spend more time in editing and debugging, so it is still worthwile for me to use the dark theme. Thanks! Where can I switch between dark theme and normal theme ? I was looking for it, but didn’t find it. That would make me install it again! I have added a section “Switching Themes” to end of the oritinal article explaining how to switch between themes. 2. Once done, go to the Eclipse Marketplace and install the Darkest Dark plugin. I tried the marketplace, but it did not work for me, that’s why I ended up in this article. you say ‘url for Neon’, but you are using the oxygen URL? There were problems when installing mylyn-3.25.0.v20180628-2143.